A desktop easel with single sided whiteboard. Available with a magnetic or non-magnetic surface. 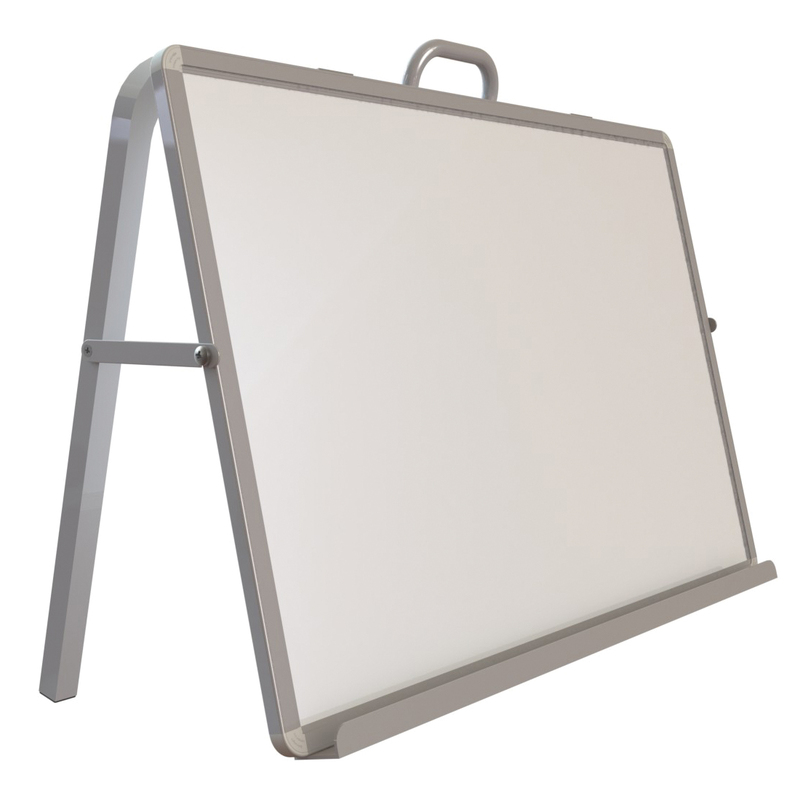 The whiteboard is 900mm wide and 600mm high with a silver aluminium frame. The easel has handle for portability and folds flat for storage and transport. It also has a full length big book ledge. Great for use on table tops and desktops in school and nursery classrooms.